Your stay includes daily tropical breakfast, a full staff of housekeepers each day, concierge services, maintenance, and security. Dominical / San Isidro, Southern Pacific Zone Villa Los Aires is located in a secluded mountain setting, surrounded by tropical forest and only 12 miles from the ocean at Dominical. The 5 bedroom main house sleeps 14 adults, and the 3 detached garden rooms can accommodate 8 more guests. Amenities include a pool, 10 person spa, cinema, Wi-Fi, giant chess in the gardens and a chill out space. Laundry facilities are on site. We can arrange for a private cook to prepare lunch or evening meals when you rent the entire villa for your small group. Just completed in Spring 2007, this splendid Costa Rican Villa is situated on a verdant hillside in the mountains of the Southern Pacific Zone, between San Isidro and Dominical. 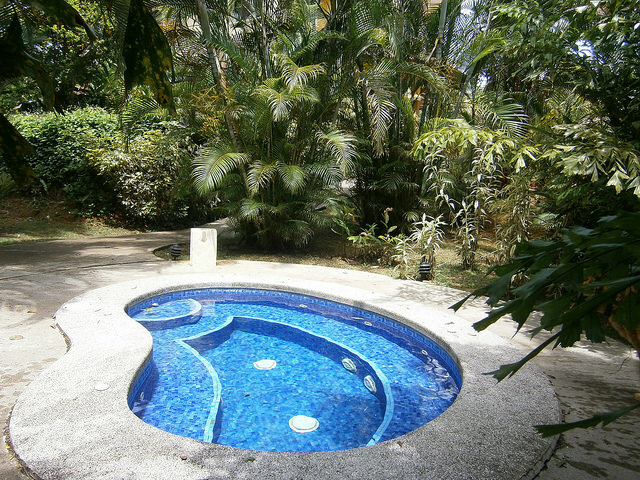 Manuel Antonio is now just one hour away by the brand new Costanera highway There are no other homes in sight and we have acres of surrounding forest to insure your privacy. In the day time you will experience the abundant sights and sounds of the jungle from thecomfort of the open air living spaces snd the tranquil sounds of falling waters will lull you to sleep at night. The Howler monkeys and toucans visit daily. Los Aires is a birdwatchers paradise. 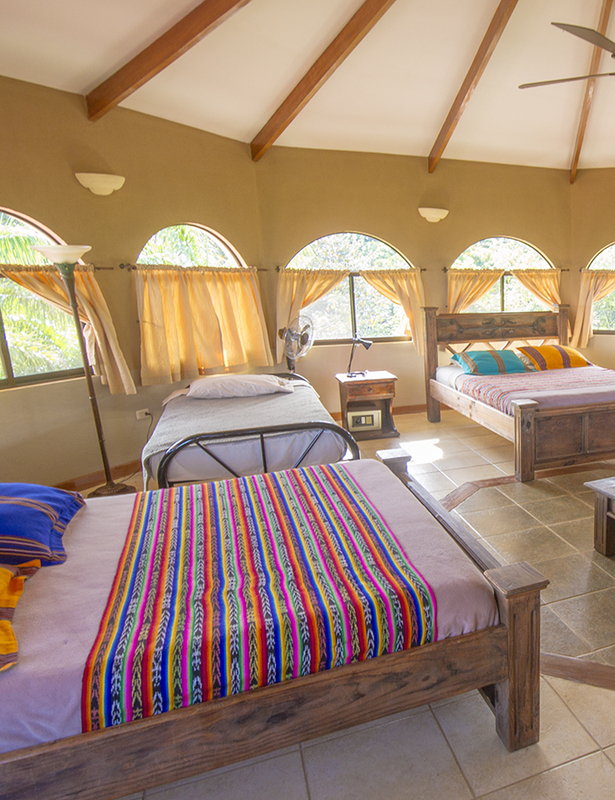 The project's architect took great pride in the building of this jungle lodge, melding form and function with touch of Spanish colonial elegance. An eco-friendly project; no rare hardwoods were cut in the making of this structure. The structure is oriented to capture the impressive sunsets, mountain vistas and the cool evening breezes. Incredible views of the valley and a cooler mountain climate set this house apart from the beach dwellings. Warm days and cool nights are the norm. At 2100 ft elevation a/c is rarely needed but is available in each bedroom and the cinema room. Ceiling fans are in every room and the entire main level of the house is open to the gentle breezes. The cafe, bar and great room overlook the pool deck and spa area. Imagine waking up to coffee served on the second floor balcony and watching the sunrise from above the clouds. Ceiling fans and a/c in each bedroom and in are in every room, the cinema room and the entire main level of the house is open to the gentle breezes. The cafe, bar and great room overlook the pool deck and spa area with jacuzzi. Imagine waking up to coffee served on the second floor balcony and watching the sunrise from above the clouds. The main floor has a reception area/office, commercial style kitchen, breakfast room/cafe, open air grande salon, full bar, and a media room with projection viewing and theater style seating. DirectTV and internet are provided by satellite and WiFi. A caretaker's apartment, the garden rooms and laundry facilities are a short walk below the main house . Water in the house comes from our spring fed creek and is filtered/purified and perfectly safe for drinking. Vehicle parking is abundant however the locals tend to prefer horses over cars. Because of our remote location, even though the access road to Caña Blanca has been recently improved, guests at Los Aires should have 4WD vehicles, especially in the wetter green season. Groceries and beverages can be delivered to the house for your stay but are not included in the prices quoted below. The main floor has a reception area/office, commercial style kitchen, breakfast room/cafe, open air grande salon, full bar, and a media room with projection viewing and theater style seating.The house has 3 large suites on the second level with a smaller room that can be used as additional sleeping quarters. The third level is the observatory suite with 360 degree panoramic views of the valley and the mountains. 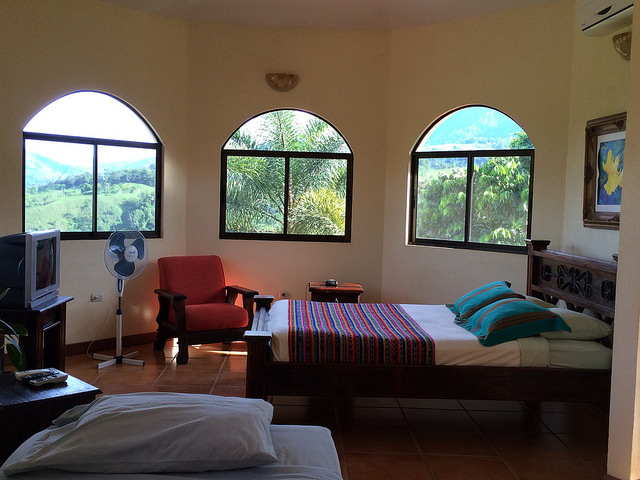 Our group of 8 stayed for a week in August (rainy season) and had a wonderful stay at Villa Los Aires. We planned to use the van that was advertised with the property but ended up having to rent vehicles in San Jose, which was a complication but ended up working out for the best. I recommend paying attention to flight arrival times & sunset times and either allowing time to drive the 3.5 hours in daylight or staying your first night in San Jose. The drive from San Jose Airport was easy - nice roads, well marked, etc (we used the coastal toll road) but the last 30 minutes (from Dominical to the Villa) is steep with tight switchbacks and not a road I'd be excited to drive after dark (especially in the rain). The Villa was as pictured and described on the site - beautiful property, awesome waterfalls, big bedrooms with mini split air conditioners, which were a welcome relief from the heat & humidity, and every bedroom has its own bathroom. We had some big storms during our stay and lots of lightening, but no problems with the power whatsoever. Pablo (our host) was fantastic - guiding us to the waterfalls, spotting animals and pointing out interesting mushrooms and plants (we saw cusinga birds, a sloth, frogs, toucans, a coati & its baby and lots of cool lizards and bugs around the Villa) and he prepared a great complimentary breakfast for us every morning. The hot tub wasn't working quite right - Pablo said he needed an hours notice to get it warmed up, but it still wasn't hot a couple hours later. The daily maid service was a nice perk, as was the theater room (we thought "Romancing the Stone" would make a great addition to their library - Costa Rica reminded us of that movie). Loved everything about this trip - Pura Vida! We recently had a wonderful visit to Villa Los Aires with family (5 adults) and 3 kids under the age of 10. Although the location was remote, it was definitely part of the draw and we were lucky to get to see lots of wildlife in the "yard" as well as enjoy the hiking and waterfalls. Our best wildlife spotting of the entire trip was the morning that Pablo, our host was giving us a tour of the property's waterfalls. Just as we were leaving the house, he spotted a sloth climbing down one of the trees in the front yard. We were all in awe and enjoyed spending 10 or so minutes watching the sloth climb about 10 feet. :) Most days we left in the morning around 8am to do activities and returned by 4pm (around the the time the rain starting falling). Despite the rain, we would come home to enjoy the pool and relaxation on the patio while catching up on email (the wireless worked great). We very much enjoyed our nights in (as the drive in the rain and dark on the steep roads was not appealing) and were excited to taste the local cuisine that the staff prepared for us nightly. There were definitely interesting creatures that would come out at night, and we all got a kick out of inspecting each one, the kids especially. Luckily, the doors to the bedrooms were kept closed at all times, so most of the creatures (grasshoppers, spiders, beetles, giant moths, frogs and lizards) were limited to the open areas (lizards were often found behind the closed doors). All in all, a great vacation with wonderful accommodation. My husband, Ron, celebrated his 50th birthday with 20 of our closest friends and family at your Villa in Costa Rica. We stayed at the Villa August 2nd to August 9th. It was everything plus more!! We all had such a tremendous time at the Villa! From the time we first arrived with Viviana and Paulo greeting us to the time of our departure, we had a great experience. My daughters, Annamarie and Elise, really enjoyed spending time with their father on such a special occasion. Ron had been planning this trip for almost a year. He knew he wanted to experience Costa RIca and heard about the Villa through his co-workers. The excursions of horse-back riding, zip-lining, and white water rafting were enjoyed by all. Paulo and Viviana scheduled all of our rides to and from town and events. We could not have done it without their assistance. Paulo was fantastic. He made sure everyone had a great experience and would greet us every morning. Our breakfasts were always ready and everything was taken care of. The cooks, housekeepers, and everyone who worked at the Villa were all top notch! Our meals were excellent. We had a breakfast buffet every morning (loved the fresh pineapples and juices)! We had an option for lunch which was delicious. Our dinners every night were on time and served with a smile. We loved the appetizers, meals, and desserts! The cooks made a birthday cake for Ron on his 5oth birthday - Tres Leches cake. We even had dance lessons by Paulo. Paulo would always provide us with Costa RIca history and tell us about the area. Paulo toured the grounds with us - making sure we all got to see the beautiful waterfalls on the grounds. The vacation was a time for our friends and family to enjoy each others company and celebrate Ron's 50th birthday in beautiful Costa Rica. Thank you for allowing us to stay at the Villa los Aires. From planning our our first family trip in 35+ years to the time we left, the staff at Villa Los Aires was phenomenal. Pablo and Stephen were SO helpful. Upon arrival we opted to let Vivianna have snacks waiting for us after our long flight and drive and she literally made the best salsa we have ever tasted. It didn't stop there... we planned on going out for dinner and experiences the local cuisine, but decided not to. Instead, we had Vivianna cook for us and WOW! It was world class. From appetizer's to deserts her mastery of the local culture with the ability to take out specific tastes into account was unsurpassed. Just WOW! And Pablo... Just Pablo! My family pretty much adopted him while we were there. It was supposed to be a family vacation, but by the second day we really couldn't imagine not inviting him along to all of our adventures, fishing, helicopter tour, souvenier shopping, food shopping... we made him tag along everywhere. We miss him. He turne our trip into something truly special! We went horseback riding, hiking, boating, fishing, did the tourist thing, but mostly we just throroughly enjoyed the family time and the getting to know the wonderful staff and the Costa Rican culture they were willing to share with us. Hernan was gracious enough to take me on horseback ride with his own horses that he personally trained through around the roads and trails nearby (and not so nearby) the house. It was just an amazing, once in a lifetime experience that I really don't think you could experience at another villa. Yes, you could find another beautiful place to stay with great views and comfortable, clean beds, but I really doubt you could find the incredible staff that made this Costa Rican vacation such a memorable and special experience for us. 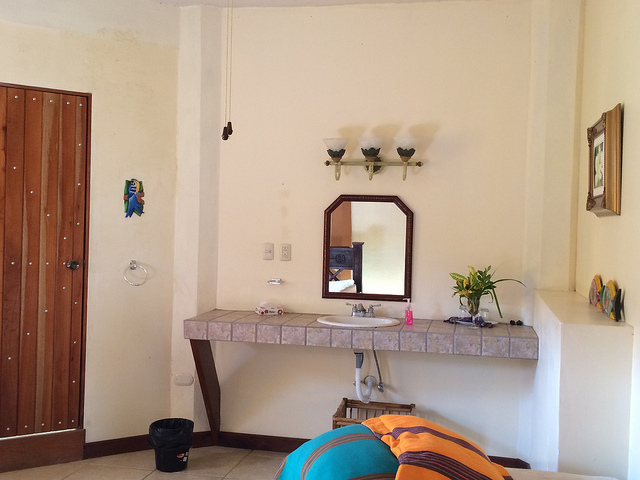 The villa was clean and well appointend and everything the pictures and reviews said it would be. Lots of wildlife and beautiful views (and oddly no bugs, yay! ), too. The thing that made it so special was the people that make the villa so inviting and welcoming. Pablo, Vivianna and the exceptional staff are absolutely worth the rugged drive up to this gorgeous home away from home. From the initial contact with with the owner Stephen, I was in love with this property. He answered every email thoroughly and provided some great suggestions on things to do in the area or how to make our trip more efficient. The cook, or shall I say Chef [her cooking is awesome] Viviana was also very helpful despite the slight language barrier (her primary language is Spanish). We were a group of 14 men and women ages 22 to 30 and we had a GREAT time! Although the home is slightly secluded because of its location, it gave us the privacy we needed for late night parties at the pool and was just right for a mid-day scavenger hunt. Transportation was also a part of our all-inclusive package and we are soooo happy that we did it because the streets in Costa Rica were pretty rough. We would definitely come back!!! We also did the following excursions: *ATV ride- gorgeous view with a delicious lunch *Open-air ride through Niyaca Falls (instead of the horses). The hiking portion was so beautiful just be careful because some spots are slippery *Dominical beach trip- although the beach has quite a few rocks, it was very nice to see the black sand. There were also little booths and food available. Just returned to the States from Costa Rica and Villa Los Airies. What an amazing trip and location! 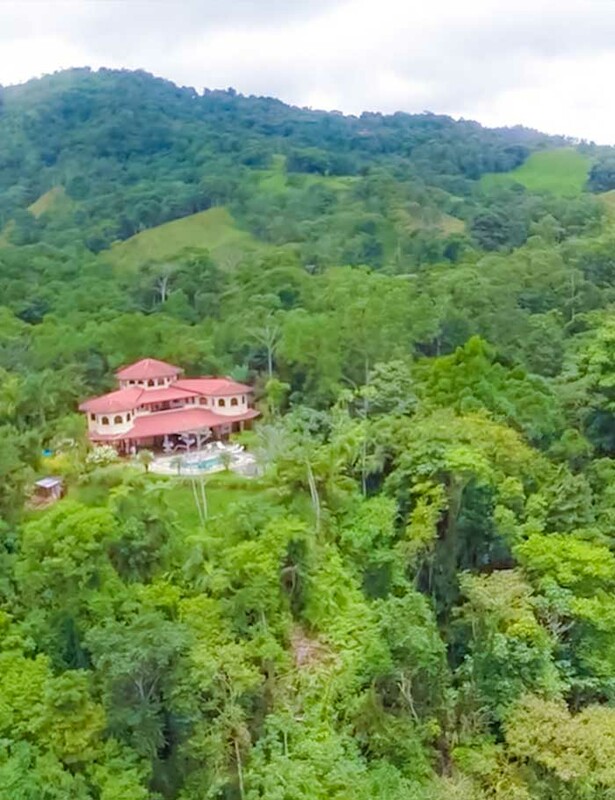 About 3.5 hours from San Jose, Villa Los Airies is situated in the most beautiful valley high up on the mountainside offering amazing views of the Costa Rican jungle. We arrived on Sunday afternoon and were immediately taken in by the Villa and its wide sweeping veranda overlooking the pool and mountain backdrop. All the rooms were well appointed each air conditioned which turned out to be a VERY welcome amenity after a long day in the Costa Rican sun. The building is well appointed with a pool, amazing hot tub and 60 acres of jungle where there is no end to surprises around every turn - waterfalls, horses, never ending flowers and the most amazing wildlife... Sitting by the pool watching the toucans or turkey vulture rest in trees 10 feet away was spectacular! Ballsy the house cat kept the Howler Monkeys at bay but you could hear them just out of sight jabbering on and on. Wow! The rooms were amazing and each had a private bath and shower some with shower views overlooking the mountainside - very relaxing. The kitchen was well appointed and had separate areas for meal prep and dish washing etc. Owner Steve is replacing appliances and donating the not so old ones to the community center down the road so folks can enjoy a cold drink or a warm Cosado - the traditional meal of Costa Rica. And what an be said of Pablo - the Conciegre, Manager, Lifesaver.... Pablo and the staff at the Villa make you feel like you are home and a part of the local family. Be sure to check out the local bodega's, eateries and maybe if you are lucky you'll go on a horseback ride with Pablo's uncles! 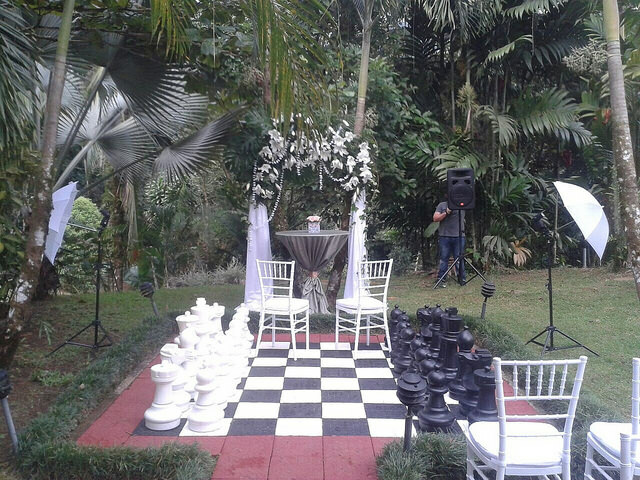 The Villa is well appointed - there is am awesome outdoor grilling area as well are a secluded hot tub areas and for those into chess an almost life size chess set hidden in the woods by the hot tub.... Oh and did I mention the waterfall!!?? If you are going to Villa Los Airies I hope you had as an amazing of a time as we did - and don't forget to say Hi to the jungle ants for me!!! Our experience at Villa Los Aires was awesome! It was only my wife and 3 children (Ages 7, 11 & 13) and everyone loved the property, the staff and the area. Pablo was great! I don't know how he could have possibly been any better. He took us around the property to the waterfalls and swimming holes and was immediately on top of any issue or concerns we had. He also advised and assisted us on restaurants and adventures. I would highly recommend this property. It was unlike anything we have visited before. Words and pictures will never describe how awesome the home and how breathtaking the view and hiking is!!!!!!! But the icing on the cake was Pablo!!!!! We celebrated our daughters graduation at Villa Los Aires with close friends and it was amazing. Can't wait to go back. Pablo is like family and was totally wonderful to all of us. From helping a slow hiker to setting up excursions!!!! We highly recommend and we can't wait to go back!!! Thank you Pablo! Your amazing! My family and I--16 of us total (13 adults, 3 children)--had an amazing experience while staying at Villa Los Aires. What you see is what you get. The pictures provided on the website are what you get when you stay on the property. But the most memorable and most beneficial aspect of this property is the service that is provided by Pablo. I cannot say enough about Pablo. My family and I have stayed at several villas in different countries. What separates our other experiences and this one was Pablo. Before arrival to Costa Rica, Pablo responded to any and all questions and pre-arranged transportation, food, and activities. Everyday the breakfast was provided at a time to accommodate for leaving for activities, whether at 5am or 7am. Everyday Pablo would ask about the next day activities and would coordinate with the service providers for those who were participating. Pablo provided excellent directions and gave great suggestions to help us plan and prepare for each day. PABLO IS AMAZING! As for the property, some of the family stayed at the property practically all day, every day. For them, Pablo would coordinate for lunch and dinner to be served. They were able to enjoy lounging poolside or exploring the amazing farm on the property and the waterfalls. At first, we had to get used to being one with nature, since the main living area is indoor/outdoor--being city folk, this was a new experience. But after day one, we went into town and purchased some citronella incense for the house and we were good to go. As an American, and a city-living American at that, we are used to certain luxuries (ie: excellent wi-fi). We had to get used to disconnecting since wi-fi is not of the same standard. But, for me, that truly was great--disconnecting is needed sometimes. But as the 7-year old on the trip astutely noted, "We are in the jungle." 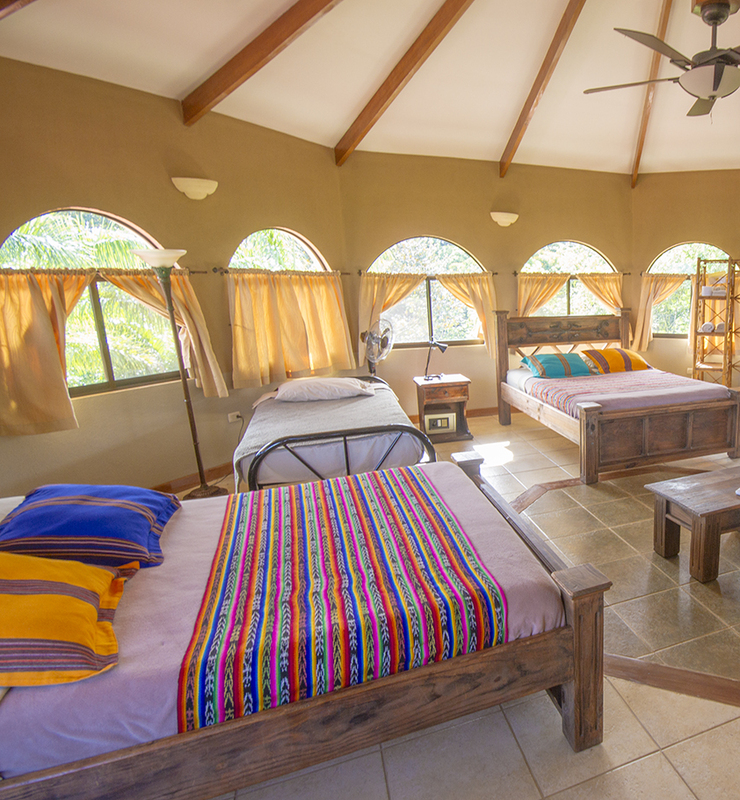 This villa offered a true jungle experience, with 5-star service, but at a superb price. I would highly recommend this villa to anyone traveling to the Dominical area. Pura Vida! Warm regards, "Family"
Villa Los Aires has so much to offer! Ideally suited for larger parties, there is something for everyone - from relaxing around the pool all day, to hiking on property or day excursions such as beaches at Dominical, zip line tours, horseback riding or catamaran tours - the list really goes on! The main house has 5 bedrooms all with en suite bath and the "bunk" house has 3 additional bedrooms all with en suite bath. All bedrooms and a media/movie room are air conditioned. The main space is open air and wonderful. 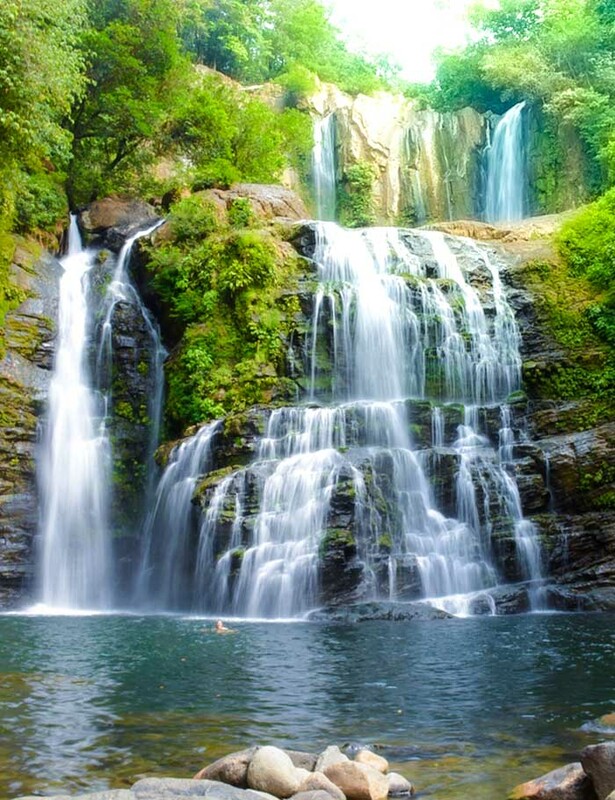 With a very temperate climate, it's easy to enjoy fresh air, amazing views and a touch of nature - toucans, geckos, etc. Pablo is an amazing manager and will be able to coordinate activities and make suggestions. Meals can be on your own, or can be prepared for you. We loved everything we had! I highly recommend the resort if you want to get away from the hustle and bustle of every day life. With any trip to Costa Rica I suggest getting a SIM card for local data - it's much cheaper than roaming with a US carrier. You have to have an unlocked phone and you can get the SIM card at the airport. Beautiful property tucked into lush forest. Nature abounds and the photos here do not lie. All the staff, especially the concierge Pablo, were fantastic. Pablo is highly experienced and goes out of his way to be helpful. He took us to Manuel Antonio NP and proved to be an adept wildlife guide. We saw much more wildlife (sloths, howler and titi monkeys, coatis and agoutis) than we expected. The combination of the property, its location and Pablo's expertise make this place an ideal holiday spot. For our honeymoon, with some of our closest family and friends, we spent a wonderful two weeks at the Villa. It was everything we expected and much more. Pablo, our concierge, is worth his weight in gold. He is very personable, knowledgeable, and most helpful. Pablo setup our group of 19 with every excursion we wanted to experience within those 13 days, we accomplished it all. Thank you Pablo. The staff with awesome and very helpful. Pablo’s Aunt Patricia knows her way around the kitchen and provided us with the real Costa Rican cooking. The staff setup the dinning room tables just like a restaurant, it was pretty cool. Patricia’s bean soup is out of this world. We also enjoyed her seafood, chicken, rice, and the deserts; we highly recommend eating all your meals at the Villa. Laundry service was also provided, it was very nice and worth every colon. We saw the Howling Monkeys, Toucans and an Ant Eater around the property. We ate fruit right from the property (Bananas, Papayas, Mangos, Watermelon and even ate some Guanava. It was wonderful time, we home to return soon. Thank you Stephen for the opportunity to enjoy your wonderful Villa. Pura Vida.